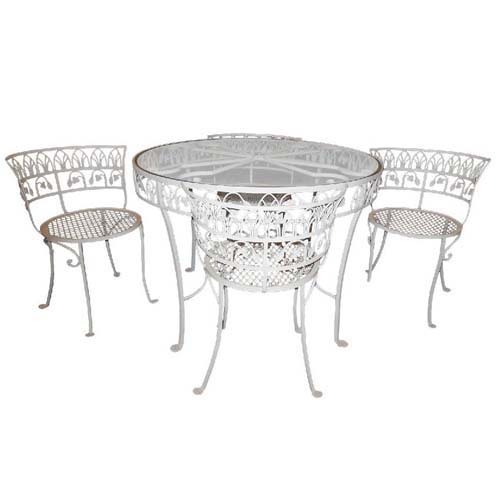 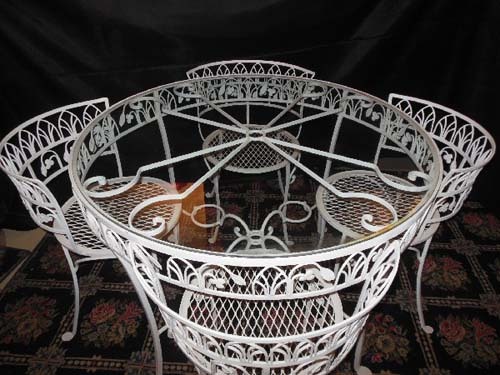 A mid-20th century wrought iron Salterini Patio set, with a desirable circular table that is only 42 inches round. 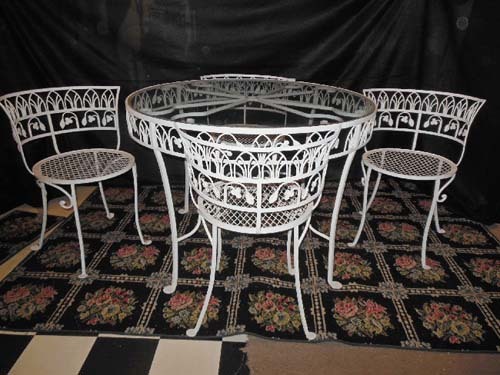 The four dining chairs are most distinctive with round seats raised on curved legs, with an elaborate back with Gothic arches and leaf designs. 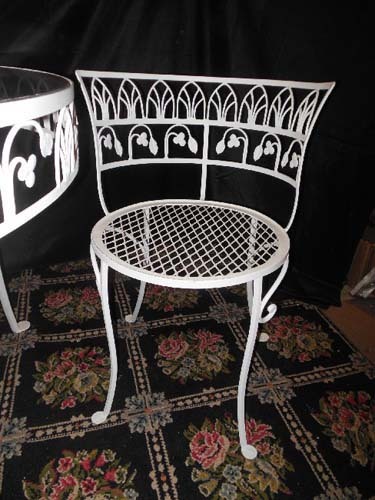 The same details are repeated on the apron of the table.